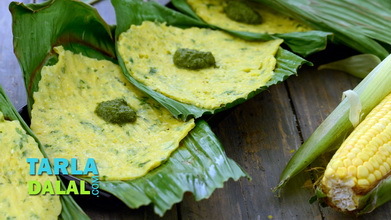 Corn panki is a popular gujarati snack made of a corn and rawa mixture that is cooked between two banana leaves -- pankis lure the diner with the innate aroma of fresh leaves which get incorporated into the pankis when they are cooked. 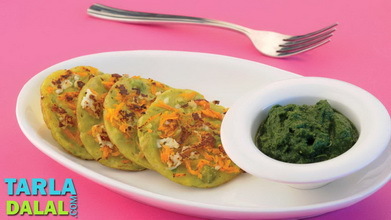 In fact, pankis get their name because they are made in a paan (leaf). 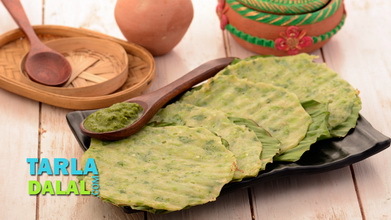 The rawa and corn combination is used in a different way to make this novel snack, which is very healthy as it is steamed. 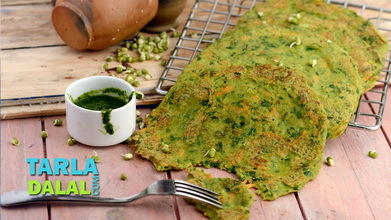 And of course, it is extremely tasty too, with coriander and green chillies enhancing the flavour further. 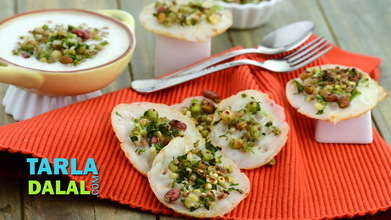 Combine all the ingredients along with 2 tbsp of water in a deep bowl and mix well. 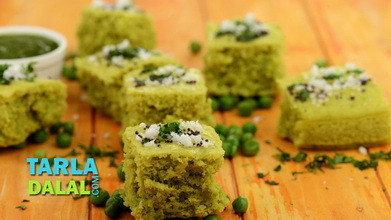 Put 2 tbsp of the batter on one half of the greased side on a banana leaf and spread it evenly. 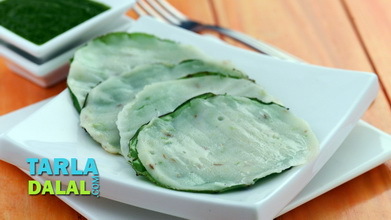 Place another greased banana leaf with the greased side facing downwards over it and press it lightly. 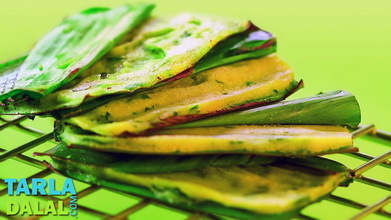 Cook on a non-stick pan or a tava (griddle) till light brown spots appear on the leaves and the panki in between peels off the leaf easily. Repeat with the remaining batter to make 7 more pankis. 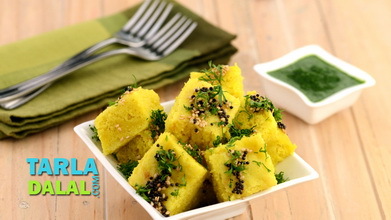 You can cook 3 to 4 pankis at one time on a tava.